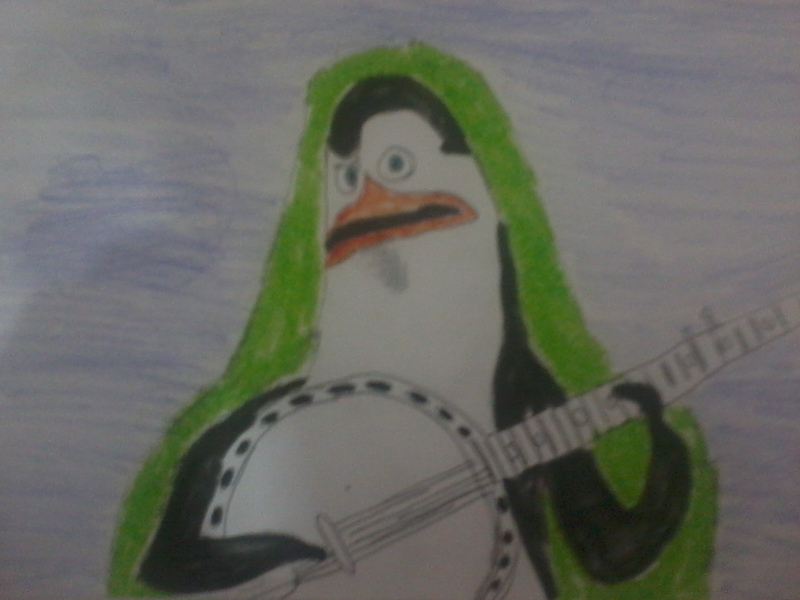 Kowalski with his Banjo. . HD Wallpaper and background images in the Kowalski club tagged: kowalski madagascar the penguins of madagascar penguin science smart one. This Kowalski fan art might contain boné and cap. Nice! It looks pretty good! WOOOOOOOOOOOOOOOOOOWWWWWWWWWW!!!!!!!!! You're an ACE drawer!!!!!!!!! Do you really like it? Some of my friends said that that was wicked picture. Wow! You are great drawer! Kowalski is always cute and hot!